This issue features essays on Chaekgeori, a genre of Korean painting; stone molds and foreign visual models in Satavahana material culture; art and technology in a Chinese gold cicada plaque; distinguishing “set” from “series” in Tibetan painting; and appropriation and politics in Li Keran’s representation of Beihai Park. Contributors include Pia Brancaccio, Susan Bush, Melissa Chiu, Yan Geng, Sunglim Kim, Sarah Laursen, Joona Repo, Jerome Silbergeld, and Donna Strahan. 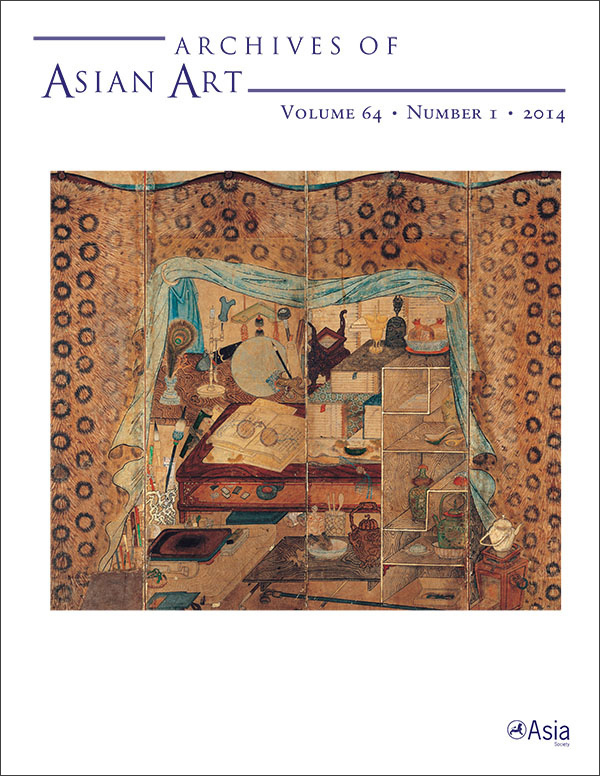 View the table of contents for Archives of Asian Art 64:1, at the journal's online site.